Oman Liquefied Natural Gas LLC (OLNG) is a limited liability incorporated joint venture company established by a Royal Decree and operated under the laws of the Sultanate of Oman. It engages in the business of producing and selling liquefied natural gas (LNG) and byproduct natural gas liquids (NGL). The Company undertakes, directly or indirectly, project operations and activities necessary to liquefy, store, transport and market Oman’s natural gas and to deliver LNG to customers in the global markets. The Company operates three liquefaction trains at its site in Qalhat near Sur with a capacity of 10.4 million tonnes per annum. The produced gas at the Barik, Saih Nihayda and Saih Rawl gas fields are gathered at the Saih Rawl Plant - a gas field complex operated on behalf of the Government of Oman by Petroleum Development Oman (PDO) - in Oman’s interior. From there, a gas pipeline approximately 360 kilometres long and 48 inches in diameter with a gas capacity of 34 million cubic meters a day, is delivered to OLNG where the gas is liquefied. The LNG production trains 1 and 2 located at the OLNG plant have been using Yokogawa CENTUM CS production control system (PCS) since 2000, and train 3 has been controlled by CENTUM CS since 2005. There have been no major issues in the process control systems over the course of these years. With the discontinuation of the UNIX OS system, OLNG decided to take a phased approach to upgrade its systems from CENTUM CS to CENTUM VP for all liquefaction trains, a common facility upgrade involving other systems like Exaopc stations used for PI, APC (Exasmoc, Exarqe), and metering. Yokogawa’s eLogBook, an electronic logbook, is now an integral part of the OLNG day-to-day operations. Operator logging and handover applications are easily handled by this eLogBook. 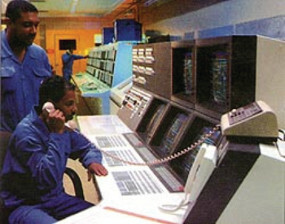 In addition, the central control room (CCR) renovation has been completed. 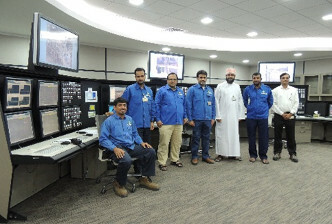 Yokogawa Oman office has been offering resident engineer support to OLNG, since the plant has been operational. This has helped to plan the system modifications, upgrades and life cycle support. One of the criteria put forth by OLNG was to ensure minimum downtime for the upgrade work due to tight LNG carriers schedules. 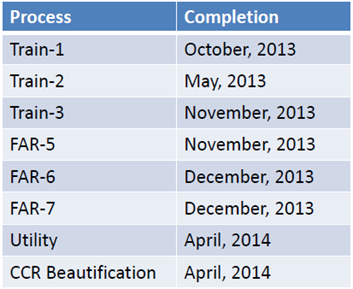 A phased upgrade approach was adopted for the three trains and the common utility operation. The human machine interface (HMI) upgrade was successfully completed without any plant shutdown and the main CPU units of field control station (FCS) were flawlessly upgraded. Various kind of information related to the HMI such as graphic displays, tag list, control group displays were migrated from CENTUM CS to CENTUM VP using the Yokogawa conversion tool. The upgrade work is completed on schedule. This online upgrade work was a considerable benefit to OLNG with no production loss. The operator logging and handover application had issues and caused issues to maintain and upgrade the application to continue to meet OLNG’s latest operating requirements as well as its compatibility with the latest Microsoft operating system. Database corruption was the other issue. OLNG needed a rapid replacement that could meet the needs of the plant while maintaining the company’s high standards. 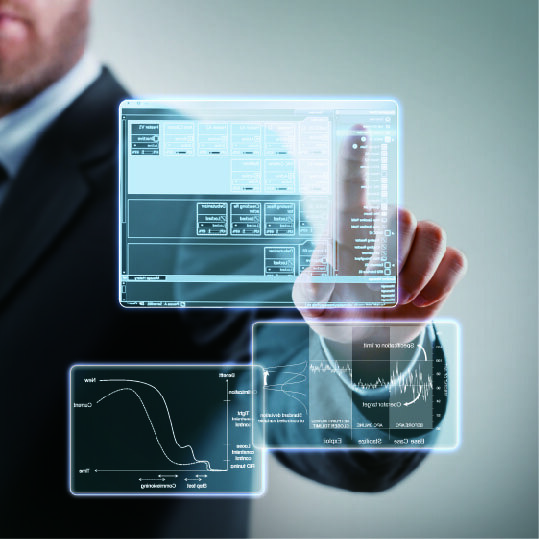 Yokogawa delivered an enhanced release of eLogBook product, meeting the specific OLNG’s needs. Yokogawa’s eLogBook is now an integral part of OLNG’s day-to-day operations. The eLogBook is configured to support specific customer tasks - a minimum of 15 separate tasks and four instructions. Each group of OLNG operators can be assigned read / write access to a specific list of tasks. This enables operators to view, review and analyze complete activities at any time and at any location in the plant, which in turn enhances the total operator workflow. Acid gas (mainly carbon dioxide), water, and mercury are removed from the gas delivered to OLNG. This cleaning is a necessary step to enable liquefaction of the natural gas and a safe production for OLNG. Condensate which is a natural gas liquid is made up mainly of pentane and hexane that are removed by fractional distillation of the feed gas after treatment. After the removal of condensates, the gas (mainly methane) is sent to the main cryogenic heat exchanger (MCHE). The selected liquefaction process is the propane-pre-cooled mixed refrigerant (C3-MR) process. The liquefaction step is driven by two large turbine-driven compressors, which through a series of compression and adiabatic and non-adiabatic cooling steps, cools the gas to minus 162 degrees Celsius, where the gas turns into liquid. The LNG is sent to special storage tanks awaiting shipment by LNG vessels to customers in Asia and Europe. Yokogawa CENTUM VP is fully used as PCS for both plant-wide operations and specific control strategy and monitoring such as compressor anti-surge control and start-up/shut-down control. Exasmoc multivariable optimizing controller and Exarqe robust quality estimator packages are applied to maximize the liquefaction. 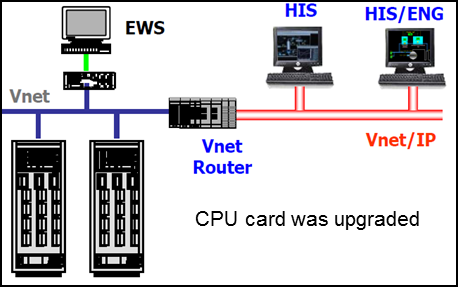 The collaboration usage of PCS and APC provides OLNG a smooth and efficient operation. Mr. Fahad Al Kaabi, Instrument Engineering Manager of OLNG mentioned, "We are very happy to complete this upgrade. All our operators reap the benefits of the latest CENTUM VP system and with the change of the new operating system obsolescence issue also has been resolved."